Above, Bryanna Wilson of Howell takes over the state lead with her 119-10 discus throw. A HUGE weekend of track and field for New Jersey. Here is your central hub for all the latest results, news, and media coverage. More will be added as the weekend moves along. Results can be found below. While I will be noting top performances from each meet, please understand I cannot list everyone in this article or it wouldn't be highlights. Check the full results linked through each meet header or our Elite Performances article for an even closer look. Great week everyone! Wait.. what?! Yes. That's correct, Luis Peralta won the Dominican National Championship in the 800m this past week. Check out the interview and recap above for more details, the Passaic junior put down a US#1 time of 1:50.62 for the victory. What a great meet, at the time this completely rewrote the 4x800m rankings and even after this weekend these times still match up great. Voorhees now ranks NJ#1 in both the DMR and 4x800m after their 4x8 run of 7:59.72. West Windsor Plainsboro North boys 10:34.49 NJ#4 and Randolph 12:21.53 NJ#2 have a great night in the DMR. Check out the full recap linked above and you can watch all of these races on the meet page. Defending national champion in the high jump Jenna Rogers of Rutherford opened her outdoor campaign with a NJ#1 5-08 clearance. Also in the field we saw two top ten javelin throws, Kassandra Ketcho of Hasbrouck Heights 123-04 NJ#6 and Sydney Stith of Pascack Hills 120-08 NJ#7. In the boys triple jump Teslim Olunlade of Lyndhurst 46-01 NJ#5. The top New Jersey freshman boys time in the 400m was run here. Adam Gorka of South Brunswick is the fastest frosh so far with his 51.75 NJ#10. Check the full results for more. Small meet but a solid start to a brand new series, check the full results. We had a few New Jersey teams compete, you can check their full team breakdowns here. Pennsauken had a solid meet, their 4x100m ranks NJ#5 with their winning time of 49.29 and they also struck gold in the 4x200m running 1:45.13 NJ#7. Freshman Jade Pope won the high jump with a 5-03 bar. Camden won four boys events. 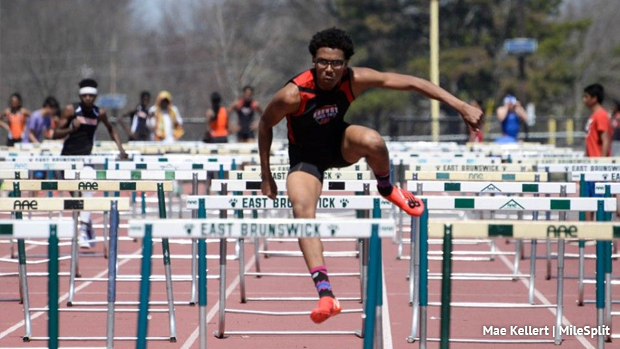 Sophomore Hakeem Evans won the 110m hurdles with a time of 15:03, NJ#9 and the fastest NJ soph time this season. They also won the 4x200m 1:30.47, the 4x400m 3:29.24, and Jajuan Hudson jumped 21-06.5 to win the long jump. Indian Hills made their way to one of track and field's most iconic locations, Hayward Field in Eugene, OR. The boys DMR did well finishing third with a time of 10:37.57 to rank NJ#6. Madeline and Corinne Barney had solid runs in the 3000m as well with times of 10:27.18 and 10:27.70. For their full team breakdown continue here. Rancocas Valley senior Nick Mirabelli continues his great start to the season with his second straight javelin meet over 200 feet. He won the jav with a mark of 202-04, already ranks NJ#1 US#2 at 220-10, and also won the discus with a 147-02. The Toms River North boys exploded to the state lead with their 3:21.94 win in the 4x400m. Nick Hutchison of Bishop Eustace won the 5K with a 15:58.72. Cherokee's Ethan Weschsler posted a 4:07.97 in the 1500m. Rancocas Valley won both the 800m and 1600m SMR with times of 1:36.27 and 3:40.77. Sincere Rhea of St. Augustine Prep ran a state leading time of 14.45 to win the 110m hurdles. The indoor 55m hurdles Meet of Champions winner was also second in the 300m hurdles at this Bensalem meet with a time of 42.55. Kamron Kobolak launched a NJ#3 shot put mark of 57-0.5 to win the Pennsylvania hosted meet. The Cinnaminson senior is just the third thrower over 57 feet for New Jersey so far this season. Kobolak also finished second in the discus with a 155-08 NJ#9, teammate Luke Adams third at 155-06 NJ#10. The Pleasantville boys earn the victory in the SMR with their 3:39.04. Kobe Roberts of Mainland Regional won the javelin throwing 177-11, he already ranks NJ#2 thanks to his 197-01 at the Buena Relays. Tyler Anzisi's 156-09 win in the discus for Egg Harbor Twp cracked the top ten in the state, ranked NJ#7. Plenty of great New Jersey performances at this one, definitely give Jim Lambert's recap a look. 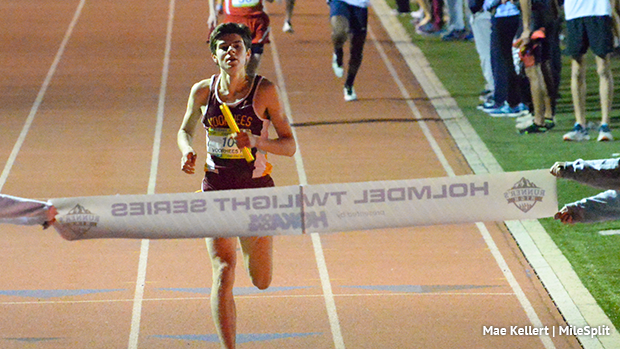 Overall there were six boys and six girls state leading performances from this Maryland showdown. For the boys East Orange's SMR rocked the meet winning with a US#8 time of 3:30.91. 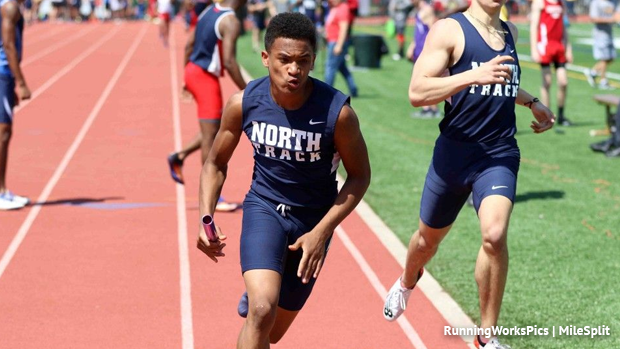 Nick Parisi of Seton Hall Prep ran two NJ#1s with his 21.90 in the 200m and a second place 48.65 for the 400m. Deptford finished fourth in the 4x100m running 42.54 NJ#1. West Side had two boys stand out as state leaders with Jakai Coker placing second in the 400m hurdles at 54.69 and Isaiah Greene fourth in the 300m hurdles 39.63. For the girls Union Catholic provided four of the six NJ#1 performances. 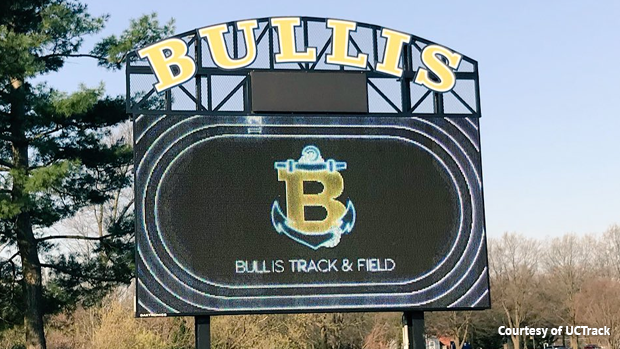 UC saw Leena Morant run 2:13.50 in the 800m, Jerika Lufrano 5:07.25 in the 1600m, Brianna Ewing 14.55 for the 100m hurdles, and sophomore Sydney Tucker 12.46 over 100m. The Columbia HS girls finished fourth in the 4x100m running 48.98 NJ#1. Tiyuana Evans of West Side had a 46.75 in the 300m hurdles. While not state leading performances these also deserve a note: Kaira Brown of Kent Place School ran 57.12 in the 400m NJ#2 and 25.69 in the 200m NJ#6. James Bell of West Side cleared 6-06 to tie for NJ#2 so far in the high jump and also had a NJ#2 performance of 22-09.5 in the long jump. Krishna White of Union Catholic now ranks NJ#3 in the triple jump with his 46-07.75, teammate Elijah Brown NJ#2 in the 400m at 48.67. Sophomore Zamira Ysaac NJ#2 in the 400m hurdles at 1:03.98. Paul VI was the only NJ team in attendance. The boys won the 4x200m with at time of 1:29.87 NJ#2 on the season. The girls took over multiple events, winning the 4x100m and 4x200m on the track with times of 50.71 and 1:43.92 NJ#3. In the field they saw two sophomores win gold. Kambi Walker cleared 5-02 in the high jump and Skyler Harris 16-06 for the long jump. Check out their full breakdown here. State leader alert! In the discus Justin Gurth of Parsippany Hills launched a mark of 180-05 to take over NJ#1 by over four feet. This was a massive PR for Gurth who's best was a 164-07 for third at the Meet of Champions last spring. Alicia Gupte of Montville Twp marked in at 37-04.5 to move to NJ#3 in the triple jump. Mendham boys ran NJ#7 in the 4x800m with an 8:05.04. Lauren Saifi of Governor Livingston vaulted 11-0 NJ#5, her teammates ran 9:39.34 to win the 4x800m NJ#4. A shuttle hurdle showdown! The two top teams in the state so far this season went head to head. Holmdel had a hot start to April but Rahway unseated their NJ#1 status with their 1:00.51 victory at the East Brunswick Invite on Saturday. Holmdel was second at 1:00.96, these teams are now NJ#1 and #2 in the shuttle hurdles. The girls shuttle also ran well with South Brunswick out front running 1:05.72 for NJ#7. On the track we saw a few other state leaders. In the 4x200m the Union boys won running 1:29.50 NJ#1, Union girls also earned the state lead in the 800m SMR running 1:48.26. The Woodbridge girls won the 4x400m clocked at 3:57.17 which is the fastest in the state by almost FOUR seconds. Meet hosts East Brunswick won the 4x800m with a time of 8:04.84 to rank NJ#5. The field had a solid day at this meet. Jasmine Vannote of Sayreville threw 41.10.75 in the shot put to move up to NJ#3. Narcise Gelin of Elizabeth jumped to 17-06 in the long jump tying NJ#4. Christian Brothers Academy's Dan Mead had a mark of 56-09 in the shot put, he already ranks NJ#4 at 56-11.5, and hit a 157-10 in the discus to move up to NJ#5. Also in the shot put Corey Durden of Old Bridge, 55-07.5 NJ#5, and Kyle Lipscomb of Linden, 53-11 NJ#9, both cracked the top ten in the state. For the boys javelin Old Bridge senior Anthony Ragusa threw another 170+ mark of 176-10, already NJ#3 at 177-06.5. Lastly Nadale Buntin of J P Stevens cleared 46-09 in the triple jump to win and now ranks NJ#2. Sean Dolan of Hopewell Valley recorded a 1:56.36 to win and ranks NJ#3. Paul Brennan of Princeton won both the discus and shot put with marks of 165-11 and 53-04.75 NJ#10. The home team The Lawrenceville School won the 800m SMR running 1:34.78 NJ#8. West Windsor Plainsboro North won the girls 800m SMR with a time of 1:50.20 NJ#4. New Jersey's Paramus and Westwood attended this meet. Paramus posted a 3:42.06 for fourth in the boys SMR. Mark Anselmi of Middletown South improved his outdoor PR by four inches clearing 6-08 and moves to NJ#1 this season. Only a junior he cleared 6-09 this past indoor. As you can watch above freshman Bryanna Wilson of Howell took over the state lead in the discus with her NJ#1 throw of 119-10. Manasquan ran a state leading time in the 4x1600m with their 18:52.63. Junior Tara Zeni of Red Bank Catholic hit a NJ#4 17-06 in the long jump. Westfield won both the boys and girls 4x800m relays 8:02.00 NJ#2 and 9:39.97 NJ#6. Mike Pepe of Matawan won the discus on his home turf with a 157-01 for NJ#6. Westfield and Brick Memorial girls shuttle teams both cracked the top ten in the state with their 1:07.23 and 1:07.82 duel. Aliyah Taylor of Rancocas Valley has a strong individual start to her season with a 200m victory at 24.61 NJ#1. That is a major outdoor PR for the sprinting talent, she's hit a 24.61 indoors before during New Balance Nationals Indoor. The Seneca girls move up to NJ#3 in the 4x800m with their winning time of 9:32.10. Cassie Hoxit of Lenape cleared 10-06 in the pole vault to win. Tenafly was the only New Jersey team in attendance, check out their full team breakdown here. Pope John XXIII girls ran to a NJ#3 time of 1:05.43 during the SMR on Saturday, the boys also won the event at this meet with a 3:38.65. For the girls shuttle hurdle Sparta ran a solid time of 1:05.43 to rank NJ#6. Sparta also saw senior Gianna Macones move up to NJ#2 in the triple jump with her winning mark of 37-08.75. Fair Lawn's Nicole Sacchinelli threw 129-03 for the javelin win NJ#3. Alicia Boucher of Jefferson Twp cracked the top ten in the state shot put rankings with her 39-02.5 win, NJ#8. As usual as one of the more competitive conferences Skyland Relays brought some great performances. For the boys C.J. Licata of Gill St. Bernard's dominated the throws winning both the shot put with a NJ#1 62-06.25 and the discus throwing 176-0 NJ#2. David Bausmith of Hunterdon Central moved to the state lead with his 14-06 vault. Also in the field Ryan Cashman of Montgomery continued to roll with a 45-10.5 mark in the triple jump. In the DMR the North Hunterdon boys ran 10:25.26 for the win, NJ#2 on the season. Hillsborough moved to NJ#4 in the SMR with a 3:35.03 win over some other quick teams. Austin Castellano of Hillsborough ran 55.96 over the 400m hurdles for NJ#5. Now to the girls meet where five state leading performances came through. In the pole vault Francesca Porambo of Bernards cleared 12-0 now NJ#1. There were four girls over 11-0 at this meet, Caroline Dannenbaum was over the 11-06 bar NJ#2. The North Hunterdon girls had a great meet and won the 4x800m with a time of 9:25.19 NJ#1 and also got it done in the shuttle hurdles with a 1:02.57 NJ#1. Hunterdon Central right behind in the shuttle now NJ#2 at 1:03.49. A showdown in the SMR with Ridge taking the win at 4:11.77 NJ#1, Pingry 4:13.62 NJ#2. During the 400m hurdles sophomore Jill Paciga of North Hunterdon won individually with a time of 1:04.55 NJ#3. Reanda Richards of West Essex opened her 400m hurdles season with a bang running 59.21 to take over US#1. This is the sixth straight sub-60 race going back to last year when she was second at MOCs only to Sydney McLaughlin and fifth at New Balance Nationals Outdoor as a junior. She also won the 100m hurdles at this meet with a time of 14.96 to rank NJ#3. Shelby Bigsby of Montclair, the state leader in the shot put, threw another great mark of 43-7. To finish the girls highlights, Kassidy Mulryne of Allentown cleared 5-06 in the high jump NJ#2. On the boys side... Camden Catholic ran a great time of 8:02.65 to move to NJ#3. Kevin Porch of Long Branch and Terris Burton of Hamilton East went head to head in the 400m hurdles to run 55.82 NJ#3 and 55.98 NJ#6. Andrew McCarthy of Jackson Memorial cracked the top ten in the state for the discus with his 155-10 NJ#8 mark. Mainland Regional run a NJ#5 time in the shuttles with a 1:05.22. Paulsboro had a nice run in the SMR running 4:23.19. Zyra Thomas of A P Schalick threw over 40 feet once again hitting a 40-04, she already ranks NJ#2 this season with her 43-02.